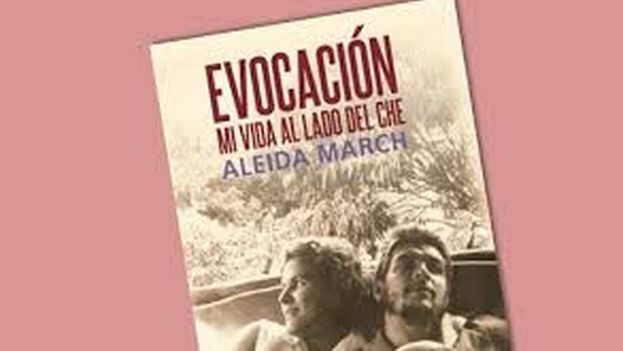 14ymedio, Havana, 16 January 2019 — The official government media Cubadebate has started a controversy with the publication of some fragments of the book Remembering Che: My Life with Che Guevara (its title in the English translation), in which Aleida March de la Torre, Ernesto Guevara’s widow, describes the executions by firing squad in La Cabaña fortress as “an act of legitimate revolutionary justice.” The execution of hundreds of people, allegedly linked to the regime of Fulgencio Batista, was one of the most darkest and criticized pages of the Cuban revolutionary process. “In January (of 1959), the Revolutionary Courts were organized and the first trials of the henchmen of the tyranny began, based on the work carried out by a Purification and Investigation Commission,” she writes. “This has always been a controversial issue and distorted by our enemies, even though it represented a legitimate act of revolutionary justice,” adds March. The narrative contrasts with the data compiled by the Archivo Cuba project, which has documented 79 executions ordered directly by Guevara. The organization counts 954 executions of this type in Cuba in 1959, of which 628 occurred from January to June, 58 of them in La Cabaña. In addition, the project denounces the lack of due process. However, for March de la Torre “the rules of due process were followed in these cases” and she insists in her book that the Argentine commander did not participate in the hearings, nor in the executions. The writer and academic Jacobo Machover, who supports another thesis, in December 2017 asked the mayor of Paris to withdraw an exhibition in homage to the figure of Che Guevara due to his involvement in these executions. The Cuban exile mentioned the Argentine’s participation in the “revolutionary courts” and his responsibility in an appeal commission that “never commuted a single capital sentence” as a reason to reject the event. “He himself attended the shootings carried out in the fortress of La Cabaña in Havana, broadcast on television and by newsreels,” said Machover, who managed to collect dozens of signatures to support his complaint.